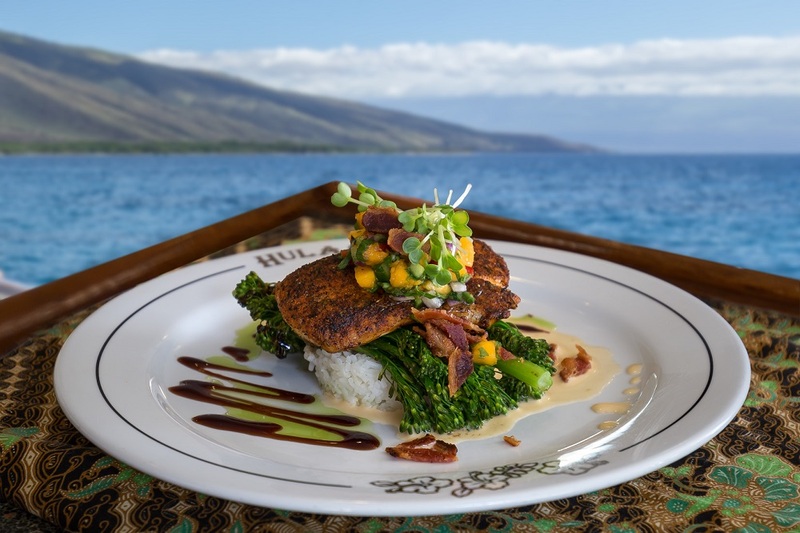 Join the Hula Girl for a delightful and romantic dinner sail. This is your perfect choice for an upscale dinner sail with incredibly reasonable prices. We start the evening with cruising along the scenic West Maui coastline to beautiful Kapalua, where we anchor in the calm protected cove at Cliff House. Our professional onboard chefs have created an extensive Pacific Rim ala carte menu, using only the freshest local ingredients, for your dining pleasure. You can choose from appetizers and entrees, like our Chef's daily fresh fish special. For the meat lovers, try the Filet Mignon served with a Porchini White Truffle Demi Sauce and Mash Potatoes, or the melt in your mouth Cabernet Short Ribs with Mashed Molokai Sweet Potatoes topped with Crispy Maui Onions. Dinner service is from 5pm-6pm with ocean views at every table! For the grand finale, enjoy one of our sumptuous desserts while the Captain and crew set the sails for the smooth downwind run back to Ka'anapali.